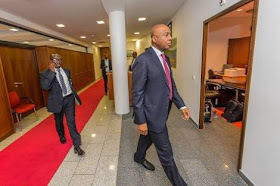 Senate president Saraki had met his supporters where he told them that he dumped the APC because of their insistence that he should do so and the guidance he received from God. He said Kwara State was marginalised in terms of appointments by the Presidency. “The Federal Government appointed over 200 persons into juicy offices without allotting any slot to me or (Speaker Yakubu) Dogara. Everything went to Katsina, Katsina, Lagos, Lagos. If not for the love I have for Nigeria, we would have scattered everything. They don’t want us in their party. They don’t like us in Kwara.